With the deft touch of a novelist, Nisid Hajari brings alive the Partition story with an elegance that keeps the reader turning the pages even if the broad strokes of the history may be familiar with her. At the Delhi launch of Nisid Hajari’s book, journalist Hartosh Singh Bal, engaging the author in conversation, asked him how Hajari came to write his book. So much of Partition history these days, Bal said somewhat dismissively, is about all that oral history type of stuff, and seemed to imply that it was a relief to happen upon a “real” history. Hajari seemed to concur, or at least, he did not contradict Bal. At the time, I had not read Hajari’s book, so it was with some curiosity that I came to it. 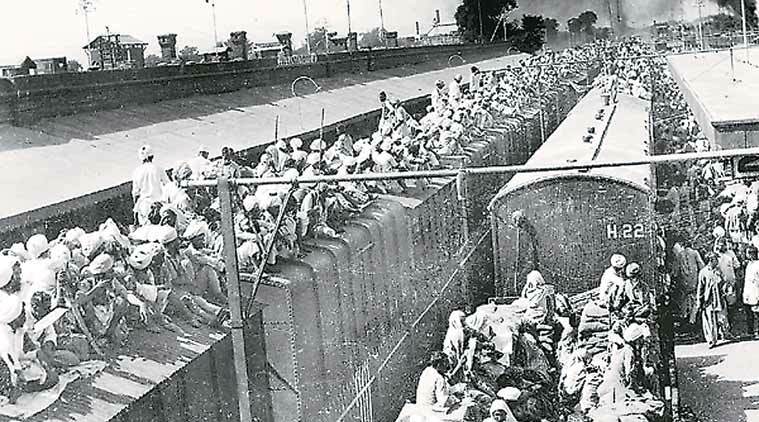 The study of Partition has undergone considerable change in the last few decades, not only in terms of academic explorations but also in general accounts, in collections of interviews and stories, in textbooks, and indeed in art, music, culture, film and more. All of this has, I think, helped us to begin the process of understanding Partition better. So, it was with some surprise, that I read Hajari’s claim that Partition remains poorly understood within India, as I did his slight disdain for “other” histories. Perhaps it is true, though, that at a political level — which is what really counts in formal India-Pakistan relations — Partition is poorly understood. At a people to people level, however, as even the reception of films like Bajrangi Bhaijaan shows, things are changing. Hajari doesn’t really pay much attention to these “other” histories — he makes a passing reference to the presence of studies that deal with the human histories of Partition, presumably through oral narratives — and dismisses them as “granular, episodic and often unreliable”. Yet, Hajari’s own book makes extensive use of his considerable storytelling skills, and indeed, of the people’s voices that stories inevitably involve. With the deft touch of a novelist, he brings alive the Partition story — or perhaps, I should say “a Partition story” for there are many — with an elegance that keeps the reader turning the pages even if the broad strokes of the history may be familiar with her. Characters we may only have met in the dry dust of the historical record or the history textbook, become real, and very human, often flawed. Dialogues are reproduced, interesting documents are unearthed, and the narrative fairly races along. Indeed, Hajari effectively proves that there is more than one way to tell a story, and that the historical moment of the Partition need not always be recounted in the dry and dull ways that it has often been. The Partition story that he chooses to recount may not offer the reader any startling new insights into an already familiar history — although it certainly offers a different perspective, a different nuance — but the way in which he tells it holds the reader’s interest from beginning to end. My questions, then, have to do with other things. The last two decades have produced, across India, Pakistan and Bangladesh, and indeed elsewhere, a large number of works on the Partition that have begun to open up new areas of exploration in the study of this moment in our history. Oral narratives of survivors are only one of these. Others include looking at divided families, at second and third generation Partition families, at visual art and Partition, at literature and graphic art, at caste, at the histories of trade and commerce, at legislation, at prisons, at mental hospitals and so much more. Would it not enrich out understanding of Partition if we — scholars, readers, interested people — took in the variety and richness of all that these studies have to offer, rather than being dismissive of some and privileging others? Is that too much to ask? My second question has to do with the characterisation of certain types of histories as “episodic” — something that, it seems to me, carries within it the assumption that somehow chronology can be privileged over episode. I am reminded of DD Kosambi’s scathing critique of the western emphasis on chronology as the only way of understanding history. Instead, I would like to offer that each — episode, or pattern, or chronology — has its own charm. Hajari’s account is wonderfully chronological, which is also what holds the reader’s attention. And yet, was there so clearly a cause and effect way to understand Partition? I’m not so sure.